Sometimes the truth can be stranger than fiction. Nature is one of those spheres of life that never ceases to amaze us. 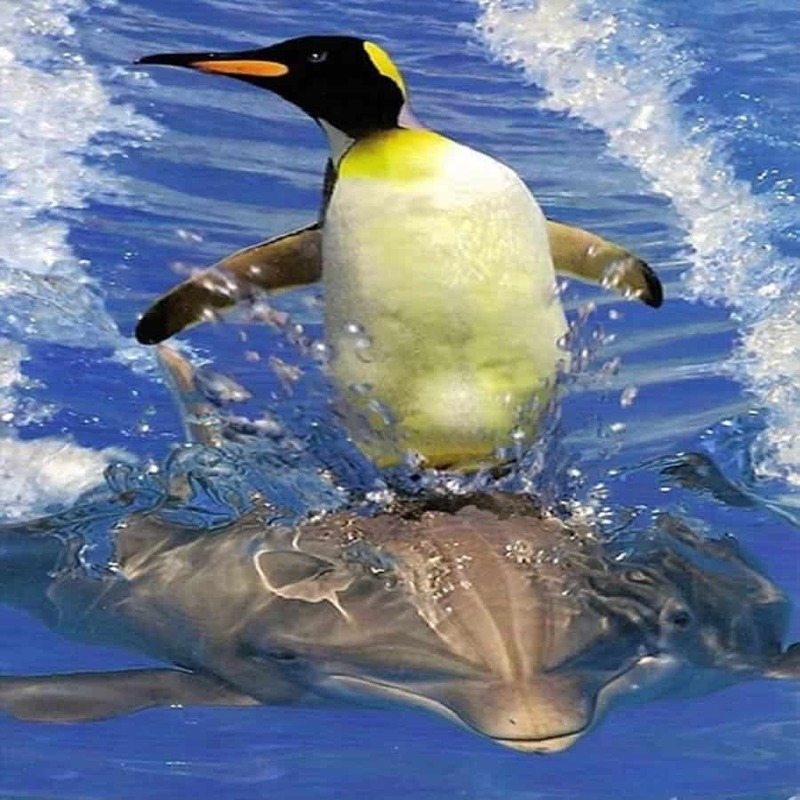 The animal kingdom is an amazing source of inspirational, shocking, bizarre and unbelievable pictures. Photographers around the world are constantly on the look out for that beautiful moment that can only be believed because it has been captured. 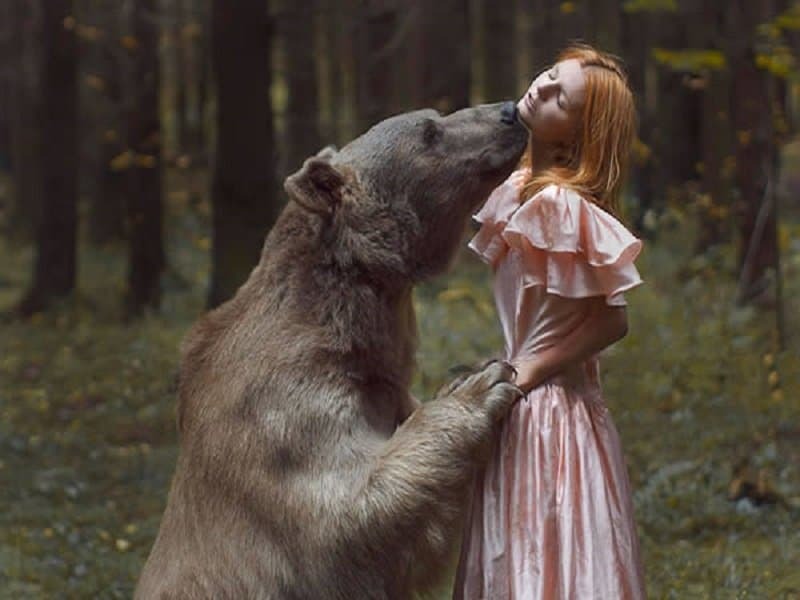 Here is a list of 10 amazing animal photographs that look Photoshopped but are absolutely real. This is one of those moments that can make your heart melt. 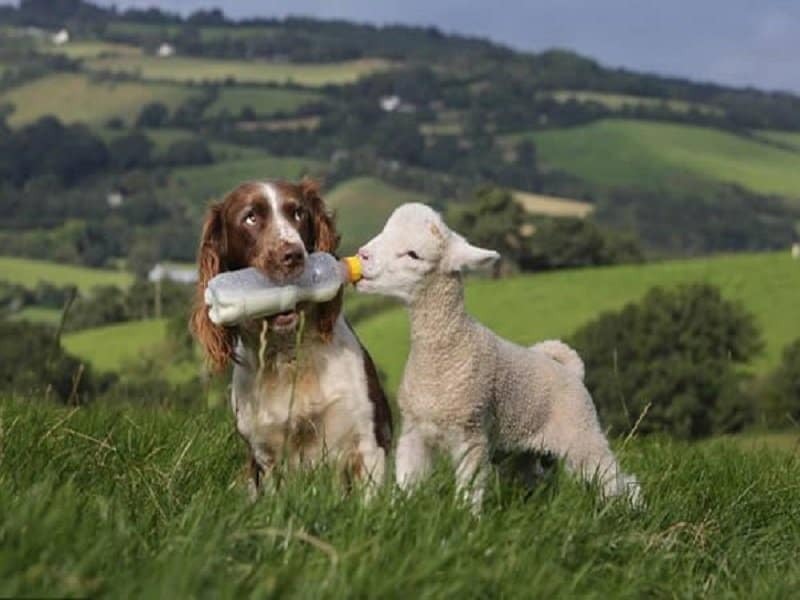 The dog in this picture is clearly very intelligent and is highly trained in taking care of the sheep. 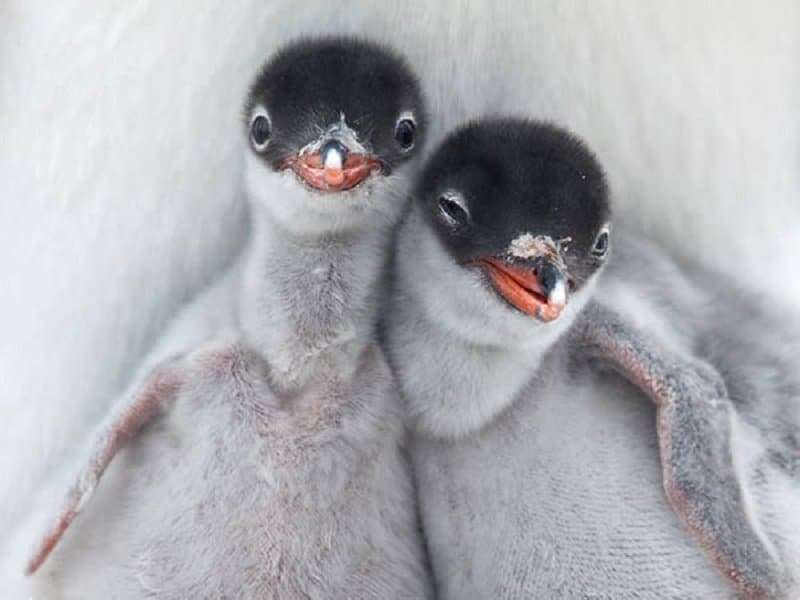 This looks like a picture straight out of a family album, with the two penguins looking like siblings posing for a family photo. 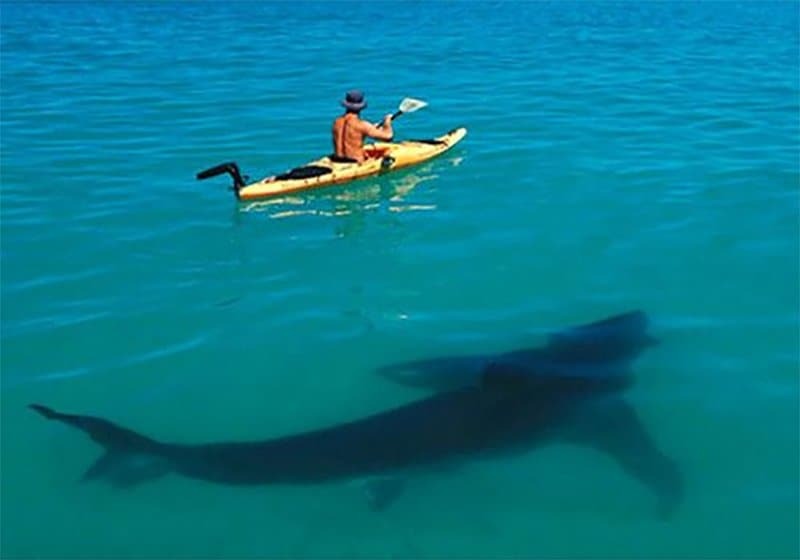 This brilliant and scary image was published in National Geographic magazine and had millions of readers wondering if it was actually real. It eventually went on to become one of the most famous pictures ever captured of a shark. This picture doesn’t look like it is real, but it actually is. It seems like something out of a fairy tale. Sometimes you need to really work hard to make ends meet and feed your belly. 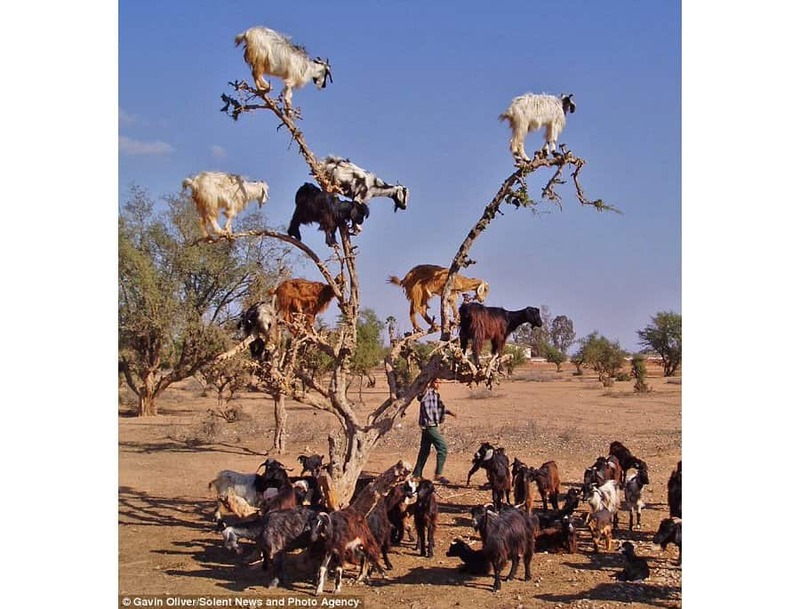 This herd of goats had no trouble climbing to the highest points of this tree in order to feed themselves. 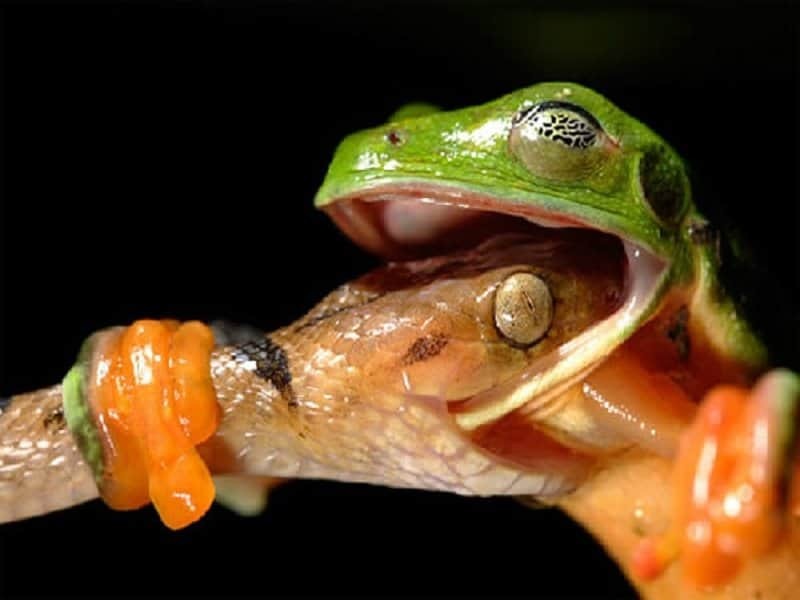 This amazing picture showcases a snake snapping onto a jungle frog. The struggle for life and death is perfectly captured in this image. 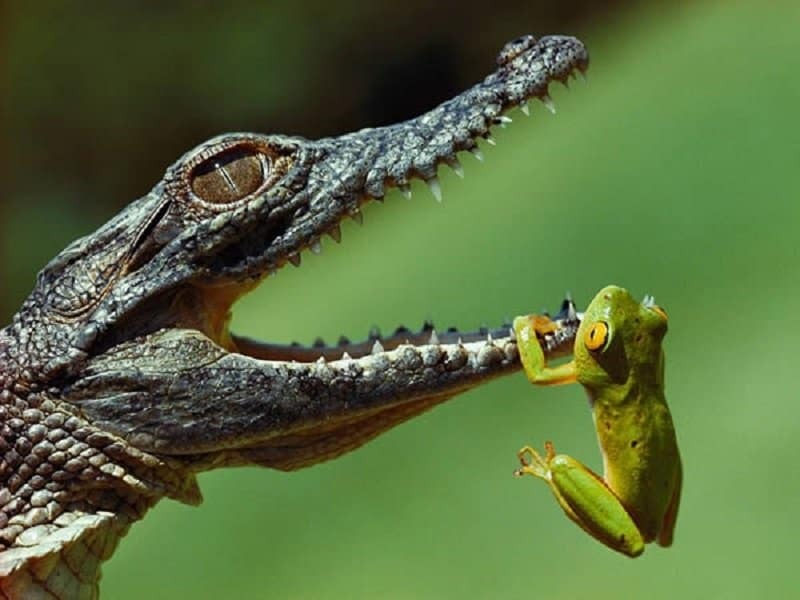 The frog in this picture thinks that the crocodile’s jaw is a branch and is using it to gain some leverage in its leap. Have you seen the animated film ‘Surfs Up’? This must be the picture that inspired the movie. 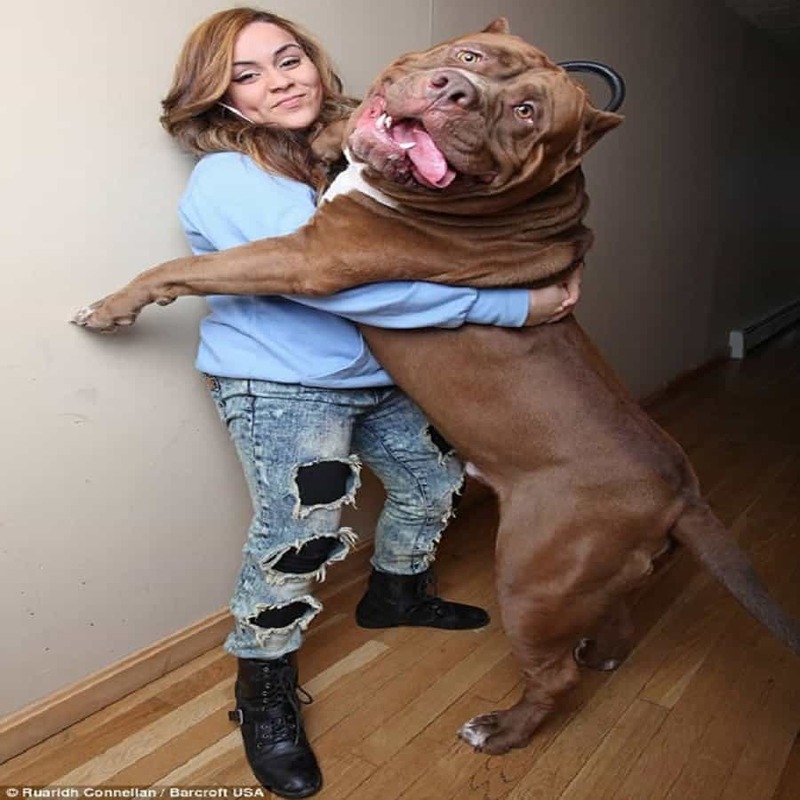 This is a picture of Hulk, the biggest pit bull in the world. You would never think a pit bull could grow to this size, but they clearly do. 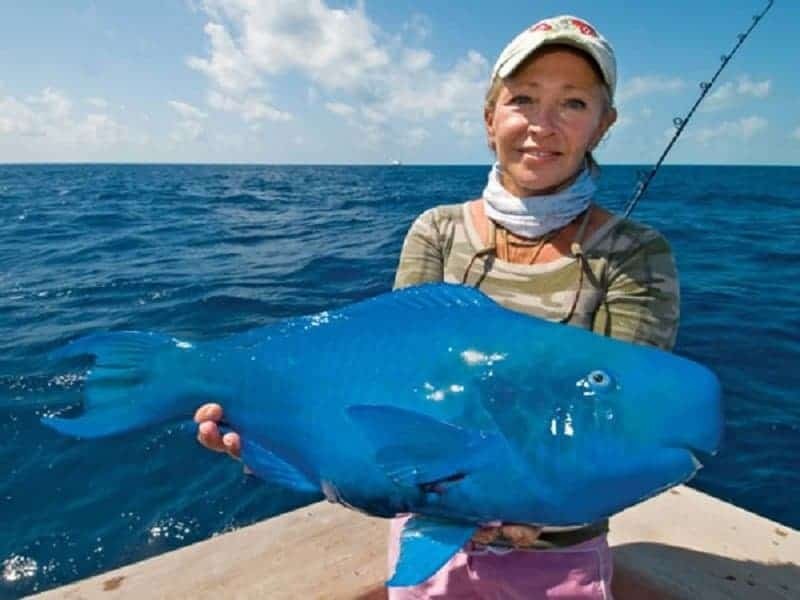 This fish is called a blue parrotfish. If you had never seen this fish before, you would probably think that this picture is Photoshopped.